The former largest cave in the world has recently been demoted, thanks to the discovery of the biggest cave in Vietnam. Extreme sports enthusiasts everywhere will be thrilled to know that this cave is massive, and the full extent of it is not even completely known yet. Deer Cave in Malaysia was previously the world’s biggest cave at 300 feet by 300 feet. 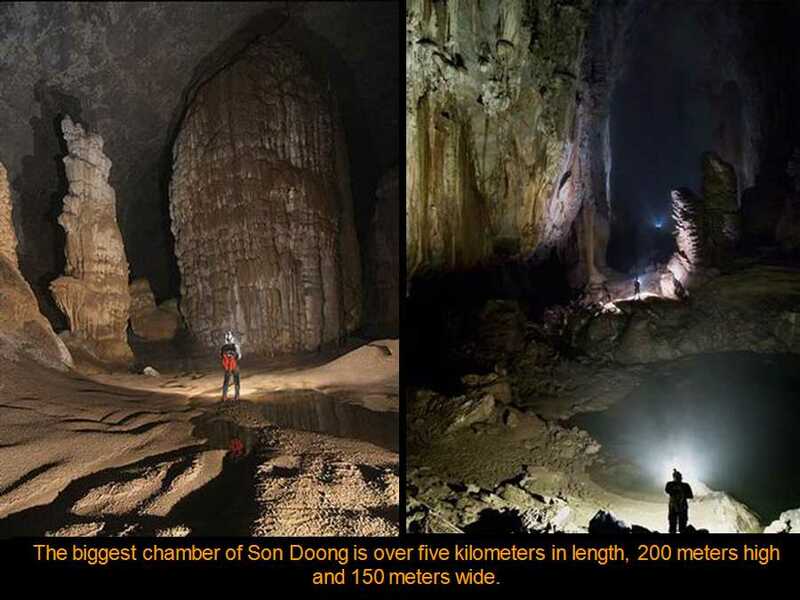 Andy Eavis, who discovered Deer Cave was a bit disappointed that his discovery had been beaten, but even he had to admit that Son Doong, located on the border of Laos and Vietnam, really is the biggest cave in Vietnam and in the world. With the immensity of this cave, it’s truly amazing that it has remained unknown until just a couple of years ago. Apparently the cave is mostly covered by jungle and the whistling sounds made by the underwater river that rushes through it have kept people away until now. The cave stretches over 260 feet in both directions throughout most of it. In some areas, however, the cave reaches nearly 500 feet in either direction. What’s even more amazing is that explorers walked nearly 2.8 miles and still did not reach the end. Due to the area’s rainy season, the floodwaters made it impossible for the group to keep going, so it is still unknown how far back the cave actually extends. So it’s not actually the height or width of the cave that gave it its new title; it’s the fact that it’s seemingly endless to walk through. Son Doong Cave was first made public in 2009 when a group of British scientists were conducting a survey in the area. Members of this group could not say enough about their extreme discovery of the biggest cave in Vietnam, just that the incredible noise coming from the cave was enough to keep local jungle men from going near it. Its first discovery was actually by a native in 1991. Apparently he was the only extreme sports junkie at the time though, because nobody else would go near it. It remained completely unknown to the public until this recent discovery. The area is incredibly difficult to get to so it was generally avoided. The research group has stated that other explorers must have come within at least a hundred feet of the cave without ever realizing it was there. There are some wildlife creatures who certainly know that the cave exists. This is the place to find poisonous centipedes and a whole host of other bugs. Any extreme sports lovers with a weak stomach may meet their match in this cave. Despite the fact that it’s almost entirely covered in the jungle, there is a skylight nearly 1000 feet above where monkeys have found they can easily get in and out of the cave. The researchers claim that they come and go frequently to eat the snails that cover the cave walls. Once the seasons allow, researchers and wildlife specialists will be going back to study the creatures of the cave. Those who are into extreme sports might find exploring the biggest cave in Vietnam to be completely different than anything they have ever done. Sure, exploring underwater and jumping out of planes are incredibly extreme, but exploring an endless cave that stretches out around you in every direction offers a thrill all its own. The area is not easily accessible so just getting to the cave would offer a challenge and a thrill. The area is covered in nothing by wild jungle and you’ve got to get within close distance of it in order to find it. The biggest cave in Vietnam is still a relatively unknown area. Research is still being conducted, so seeing this cave now would offer not only be an extreme sports adventure, but an incredible mystery. Want to read more about caving? Let us know what interests you in the comments. 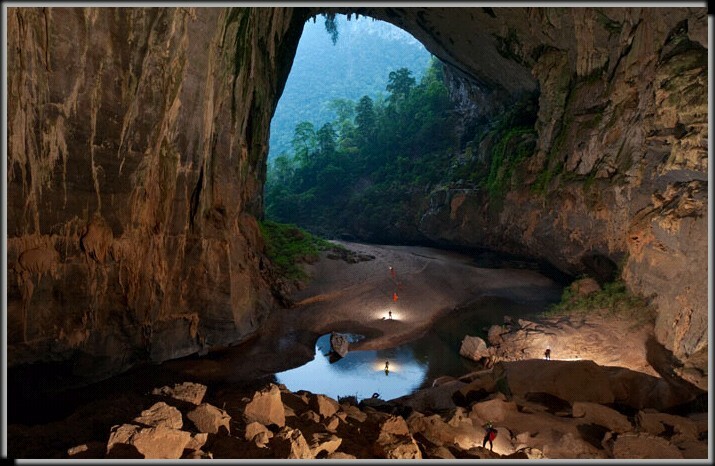 This entry was posted in Asia, Caving, Land Sports, Travel and tagged Caving, Vietnam. Bookmark the permalink.